On October 11, 2018, the Academy of Architecture for Health (AAH) offered a generative space workshop with Dr. Wayne Ruga, FAIA, FIIDA, Hon. FASID, Founder and President of the The CARITAS Project. Generative space is an environment, a place — both physical and social — where the experience of participants fulfills the functional requirements of that space and it also materially improves the health, healthcare, and quality of life for those participating in that experience in a manner they can articulate in their own terms. By its very nature, a generative space is a place that progressively and tangibly improves over time. "Generative Space" as a method to design environments, is a concept that Dr. Wayne Ruga defined and developed to both systemically and sustainably improves lives, organizations, and communities.This workshop was an opportunity to learn about the need for this approach, its background, and in very simple terms, how to design with Generative Space. About the Speaker Dr. Wayne Ruga has devoted his career to creating and supporting the development of spaces that inspire the advancement of human potential. A world-renowned architect, scholar, and visionary, Wayne launched The CARITAS Project as the next phase of his quest to activate people's capacity for transformational health. Wayne founded the annual Symposium on Healthcare Design (HFSE) in 1985 and the non-profit Center for Health Design (CHD) in 1992. Wayne Ruga is a California registered architect with numerous awards, honors, and distinctions. Currently residing in England, Wayne is a recognized international leader in design innovation. 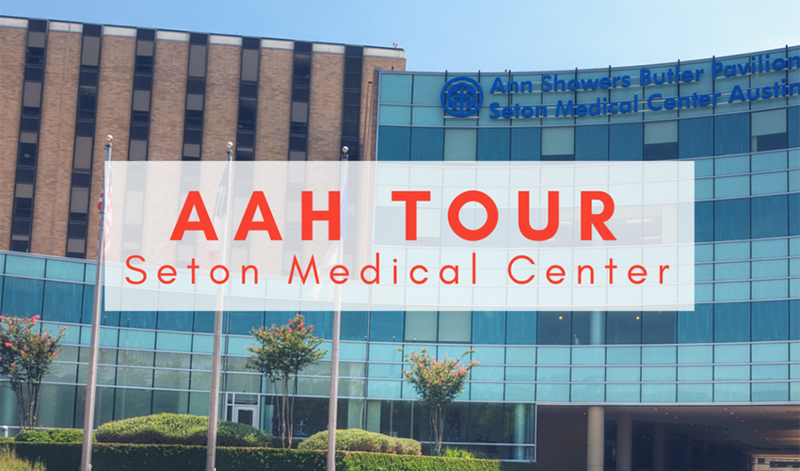 On August 17, 2018, the Academy of Architecture for Health (AAH) offered a tour of the Seton Medical Center Austin (SMCA) Modernization and Refresh projects, led by John Anglada, Sr. Project Manager at Rogers O’Brien Construction. The projects include demolishing and rebuilding Operating Rooms, the PACU, ICU Pods, South Lobby/Patient Access offices, Emergency Observation Unit, and some LDRs, Post-Partum Rooms, and corridors. The 2-hour event will consisted of a panel discussion followed by a tour of SMCA with the facility owner, HKS Architects, and the General Contractor. The project team discussed their work with medical equipment vendors to equip rooms with ceiling hung lights/equipment booms, high resolution monitors and ceiling hung imaging equipment. In addition, all of the operating rooms were designed to accommodate a robotic surgical system. On September 18, 2014, the American College of Healthcare Architects (ACHA) and AIA Austin Academy of Architecture for Healthcare hosted a one-day educational summit.